Try as we might, there’s no way for us to directly prevent something undesirable from happening in our lives. For instance, you could be the most cautious person behind the wheel, avoiding every pothole that your brain can remember on your way to work, but somehow, a stray nail will still manage to deflate your tyre. Such an incident not only leaves you stranded as you get the flat tyre replaced, but you’ll also need to bring out one of the most commonly-used excuses to explain why you’re late. However, what if it didn’t need to be that way? 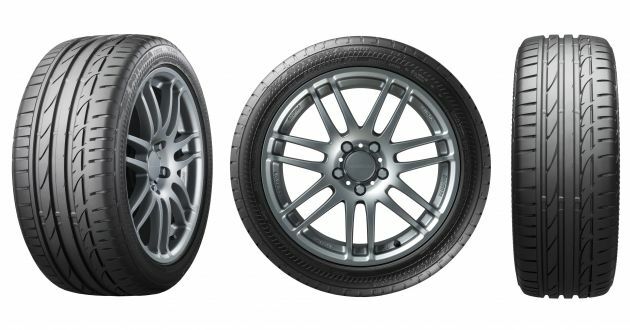 Is there a tyre that allows you to continue driving your car safely without losing control? Fortunately, the answer is yes, and they are called run-flat tyres. If you’ve never heard of such tyres before, they feature strengthened sidewalls so that in the case of a puncture, you’ll be able to keep moving. The thing is, not all run-flat tyres are made equal, and some may deliver on the run-flat promise, albeit at the expense of other aspects like handling, comfort, and wear life. Bridgestone is no stranger to run-flat technology, and has created the latest S001 RFT to ensure you are provided with the assurance that run-flat tyres promise, with reduced compromises for everything else. The S001 RFT is available for a variety of vehicles, including sedans, coupes, wagons, crossovers, as well as SUVs, and meets the requirements of OEM manufacturers. When a run-flat tyre loses air, like during a puncture, it relies on its internal sidewalls to carry the weight of your vehicle, which can cause heat build-up and further wearing down of the tyre compound. Recognising the issue, the S001 RFT utilises Bridgestone’s NanoPro-Tech, which is a new sidewall-reinforced rubber with improved carbon dispersion to reduce friction occurring between carbon molecules when the tyre is loaded. 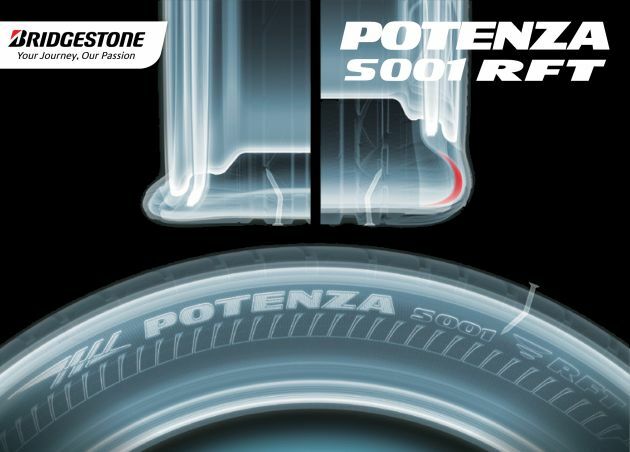 The stiff, heat-resistant material helps to reduce heat generation that occurs during run-flat driving by as much as 50% when compared to Bridgestone’s previous-generation run-flat tyres (Potenza RE050 RFT). To further ensure the sidewalls do not overheat, the S001 RFT also features Bridgestone’s Cooling Fin technology, whereby protrusions on the external sidewalls disrupt the airflow and help cool the tyres when driving following lost air pressure. More impressively, the S001 RFT still manages to provide nearly identical performance to the regular S001, without severely diminishing ride comfort either. All this means is you’ll be able to keep yourself mobile for up to 80 km and at speeds of up to 80 km/h, giving you the confidence to continue driving until you find an authorised Bridgestone service centre. For more information on the Bridgestone S001 RFT, head on over to Bridgestone Malaysia’s official website.